These days, we all need to be designers if we're to keep up with technology. You’re developing a new product at work. You spend all day in draining meetings, batting ideas back and forth, but achieve very little. So you head home, collapse on the sofa and watch your child immersed in playing with Lego. Wait a minute… next thing you know you’re on the floor with them, building a prototype out of coloured bricks. Your mind is suddenly buzzing with ideas. ‘Design thinking’ has been talked about in business for the past decade or so, but it’s becoming ever more important that all leaders think this way. 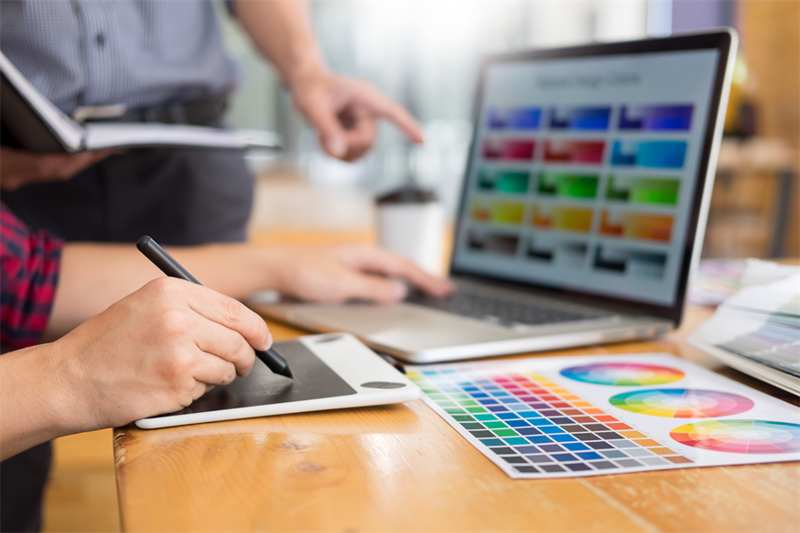 Technology is advancing by the second, briefs are becoming more complex – and creativity is key. Design thinking isn’t just a tool for obviously design-led companies; it’s vital for any business that cares about what humans want from its products and services. Tim Brown, CEO of international design business IDEO and author of Change By Design, is a design-thinking pioneer. In his TED talk on the subject, he says, "Design starts with humans and what they need…we’re now applying design to bigger problems such as global warming, education, healthcare and security." Melbourne’s RMIT University has created a ‘MBA for a 4.0 world’, with design thinking at its core. It realises that leaders in this new business world – in the midst of the fourth Industrial Revolution – need new business thinking. The old-fashioned leader was a top-down autocrat who expected everyone to fall in line. The 4.0 leader needs to listen to everyone’s ideas, communicate ethically and authentically and use innovative, creative thinking to solve problems. RMIT follows the ‘double diamond’ method of design thinking, invented by the Design Council in 2005. It consists of four stages – Discover, Define, Develop and Deliver – and it’s a diamond shape because initially, while identifying the problem or opportunity in the Discover phase, many possible ideas are considered, before being narrowed down in the Define phase. But it’s a double diamond because again, to find the solution, numerous ideas come to the fore and are then filtered at the Deliver stage. First, make sure you’re solving the right problem. Design thinkers need to look at a product or service from the perspective of their customer and really understand what they’re thinking and feeling. Ten years ago, Airbnb was a failing business, so its founders decided they’d act like their customers. Looking at their website with fresh eyes, they realised many of the photos were poorly shot on mobile phones; customers couldn’t really see where they were going to stay. So the business owners invested in taking much better photos of the properties and, while they were at it, they spoke to the homeowners about the pros and cons of renting their homes through Airbnb. With the professional photos added to the profiles, the company started to turn over twice as much money each week. Now, all new Airbnb employees have to take a trip to one of their properties and document their experiences so colleagues can learn from it. Airbnb embraced ‘divergent thinking’ via interviews and observing, but market research, brainstorming and mindmapping can all help companies at this stage of the process. Some teams run brainstorming sessions to come up with the ‘worst possible ideas’ – this takes the pressure off everyone to be right, and helps find out what would work. The kind of information that Airbnb employees collect feeds into the Define stage. Analyse everything you’ve found out and identify the core problems that need to be solved – in other words, ‘convergent thinking’. Focus groups can also be useful at this stage, to gather users’ reactions to a particular topic. What are the alternative ways to look at this problem? Involve team members from all disciplines in the process; roleplaying is a good way to get inside your customers’ heads. For physical products, make prototypes out of cardboard, clay or… yes, Lego. Tim Brown is a huge fan of Lego prototyping, even using it to design an insulin injection device. Like any new product, system or service, these solutions now need to be tested rigorously. 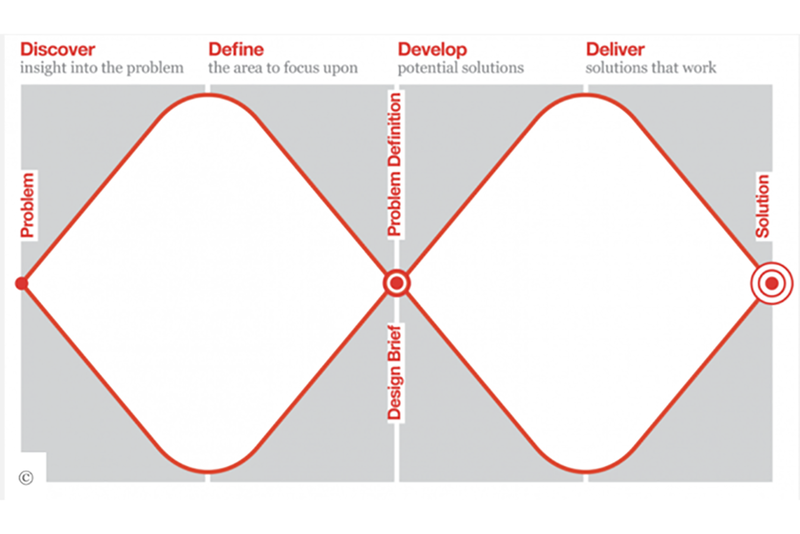 New problems or questions might occur at this stage, in which case you can move back to the Develop stage; design thinking should be a fluid journey. The graduates of RMIT’s online MBA are entering a workplace where organisations don’t necessarily choose change, but have it forced upon them. RMIT’s lecturer in design thinking, Dr Kevin Argus, says, "This course will help [students] with the emerging technologies around the internet of things, around cloud-based computing, big data and dealing with change." Being well-versed in design thinking will prepare students for the world of the future, where seismic digital shifts lead to exciting new innovations. Design thinking is as much about the next 20 years as it is about tomorrow. The RMIT MBA Online offers students the choice to concentrate in Design, Technology, Leadership or Project Management. It incorporates up-to-the-minute short courses and micro-qualifications co-designed with industry. Find out more about how you can start your MBA journey here.